Hope you all enjoyed some festive cheer and a bright and beautiful New Year? 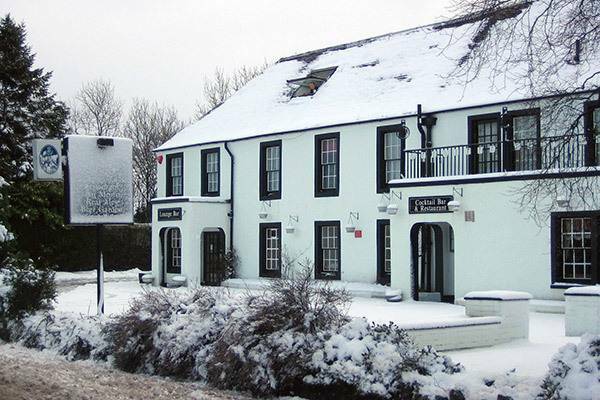 Our 2017 was a memorable year, celebrating 25 years here at the hotel and being awarded "Highly Commended" Scottish Country Pub of the Year at the Scottish Bar and Pub awards put the icing on the cake. We were delighted with the response from our 1st eblast , it was so nice to welcome back many familiar faces, but it would be nice to see some more! Hopefully our "Winter Warmer" will tempt you back for a well-deserved break. Arrive for your overnight stay in one of our cosy bedrooms. Enjoy a delicious 3 course dinner for two served in the restaurant. With a glass of our exceptional house wine included. Afterwards relax by the fireside with your complimentary liqueur coffee. cooked to order, just the way you like it. Stay an extra night bed & breakfast for just £40 per couple. We hope to welcome you back very soon.